I may be a full-grown adult but my heart still flutters a little when I come across character merchandise. Sanrio, Disney, LINE, The Little Prince.. I could go on! 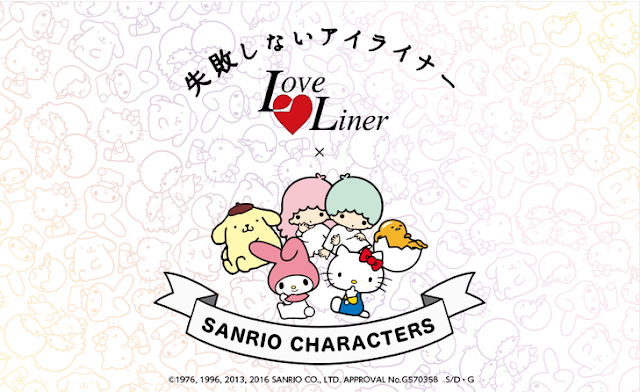 Today's focus is on the latest limited release by MSH Love Liner x Sanrio Characters. These liquid eyeliners are from Love Liner's permanent line but the packaging is limited edition. They have 5 cute characters in this collaboration, from the much-loved Hello Kitty to the lazy but adorable Gudetama! 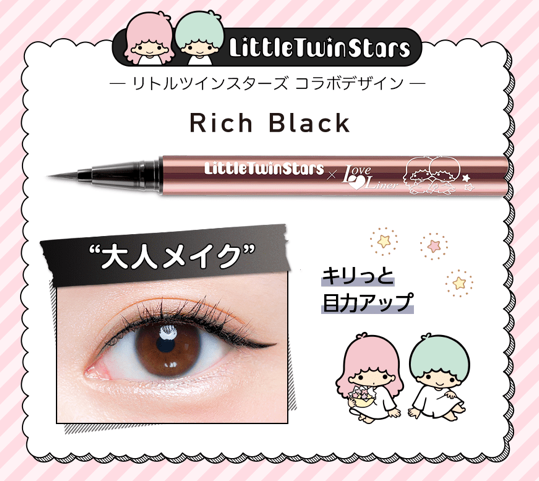 I received the Little Twin Stars character which is Rich Black, perfect for me as I only use black liners. All the liners come in their character specific boxes which is made from a sturdy material and opens up into a card with the pen stored in the middle. So cute I couldn't bear to throw it out!! What sets Love Liners apart from other liquid liners is that it's formulated with moisturizing ingredients such as Apple Cell Extract, Hyaluronic Acid, Pearl Protein and Hydrolized Silk to help treat the delicate eye area. The 0.1mm brush is also one of the best I've tried- really fine and firm but soft. This is so important for liquid eyeliners- too soft and you can't draw a straight line, too hard and it hurts the eyelid. It also claims to be waterproof (it is), dramatic, dries easily and removes speedily too. I feel that this liner would be great for beginners as the pen has a good weight to it and the brush is easy to draw with. I was able to create both thick and thin lines easily with the Love Liner. It doesn't take forever to dry and once set, is completely waterproof. I am very particular with my black liners- it has to dry off to a matte jet black, no wishy-washy, no gloss, no shine, no wet look for me. The opacity of the colour can be built with this liner, I got the black black I liked with 2 strokes. The formula is gentle and has a light fruity scent (only if you sniff the pen) and did not irritate my sensitive eyes at all. It's definitely waterproof and performed really well on my oily lids. The eyeliner lasted for a good 8 hours and even through a hot, greasy, yakiniku dinner before it started to flake and fade a little, which is an awesome feat as most eye liners smudge and fade easily on me. I especially like the fine 0.1mm tip, because I can draw lower "eyelashes" on and have it look so natural. 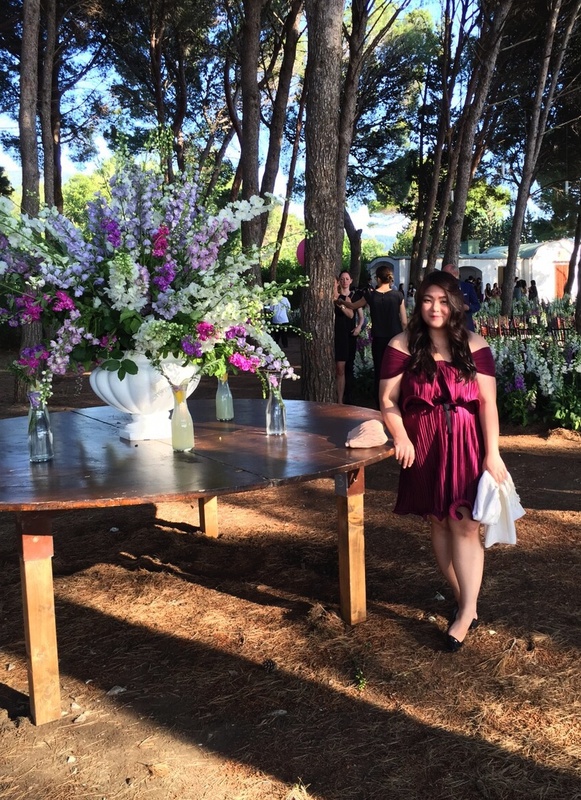 My lower eyelashes are a little sparse and have empty spots, in all the pictures above I actually filled in the left eye with little strokes. Could you tell? On a separate note, I am using the Canmake Your Lip Only Balm and I love the colour which develops on my lips! Overall, I like this liquid eyeliner and it does live up to it's claims. Removal was fast, I didn't try it with warm water but it came off easily with my eye makeup remover. It is recommended to store this liquid pen horizontally and to wipe it with a tissue after use to maintain the brush. Before use, just shake 3 times to get the liner flowing. Interested in purchasing the Love Liner x Sanrio Liquid Eyeliner? 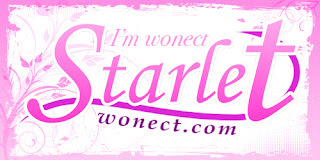 Check out the link below!